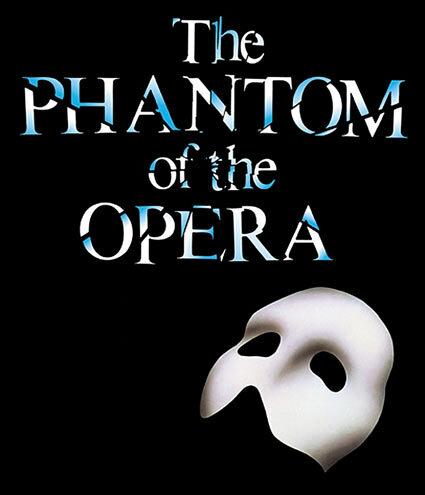 To most of us The Phantom of the Opera is synonymous with Andrew Lloyd Webber’s 1976 theatrical masterpiece in London’s West End. The novel Le Fantome de l’Opera by obscure French author Gaston Leroux serves as its inspiration. Recently on a trip across the Irish Sea, I was afforded the opportunity to experience for myself this famed piece of musical entertainment. My two hours in Her Majesty’s Theatre were quite captivating, in all kinds of ways. I was to return home with a poignant memory of this tour-de-force in spectacle. I’ll admit straight from the off that I was quite impressed by the lead performances. For anybody who remains unaware of this story, it is one chronicling a particularly tumultuous episode in the Paris Opera house. There exists a famed phantom, residing in an underground lake beneath the Opera, born with a deformed face yet possessing an incredible genius for musical creation. He falls in love with Christine, a talented chorus girl, who in turn has fallen for the Opera’s patron, Raoul. That is the basic pretext for the story that unravels. Now where was I?. . .ahhh yes, the acting. Acting, as the interpretation of how to play a particular role, is an integral part of any theatrical production. David Shannon was exquisite in his role as the phantom. His quiet self-assurance on stage produced a blunder-less performance. At constant intervals during the production, he made direct connections with the audience. Through subtle oral intonation and body movement, he somehow managed to communicate to us the dire predicament of this phantom. The phantom is renowned as a terribly elusive character, but Shannon allowed me to make sense of this man and his lush romantic agony. He has an extraordinary ability to evoke compassion in the theatregoers, especially during the many duets with his co-protagonist Christine. These in particular were the high points of acting in the play. Gina Beck as Christine possesses a beautifully delicate singing voice, capable time and again of entrancing the audience in a blissful lull. I found myself frozen still, eyes wide open, silently captivated by the power of the musical notes that she sang. There was a tender chemistry between these two actors. I sensed it. My companion sensed it. And I must say, I was taken in by it. When both actors sang together, with their all-encompassing voices, at times fairy-like, at times demon-like, a unique connection was forged between them and the audience. They elicit such pathos as to equal a Shakespearean tragedy. It became clear that they had taken up their respective roles and surpassed them, adding their own mark, and in the process devastating me with a rainbow of anguish, joy, lamentation and despair. As we all know, nothing beats the theatre for sheer exuberance in terms of set design, props, costumes and lighting. Phantom of the Opera epitomizes this sense of spectacle. In both acts, everywhere I looked seemed to serve as a plentiful source of such grandeur. For example, there was one particular chandelier used throughout the production. It glittered effusively, shining bedazzling reflections in each of our eyes. This sort of attention to detail is what makes Phantom so immense in scale. It is not just the story, nor the acting, nor even the singing that are memorable, but also the very stage set-up itself. Some of the set-pieces used were brilliant, the candlelit intimacy of the Phantom’s subterranean world being one of these. For some intangible reason, the way in which the whole set was assembled possessed an intense allure for me. In terms of costume design, the Phantom’s mask, shielding his deformed face, is utterly haunting. It has an iconic status in the theatre-world, and this only attests to the weight of set and costume design on the production as a whole. All in all, the driving force behind this musical was the orchestra. The fact that it was situated in plain view beneath the stage added something extra to the whole production, a sense of raw authenticity that is difficult to recreate outside the theatre setting. The actors sang in perpetual harmony with these music players. Certain songs, such as All I ask of you, were incredible, tear-inducing even to the hardest of hearts. This kind of musical delight and audience-seduction resides at the pinnacle of the Phantom experience. The audience members remained forever appreciative, aware of their fortune to experience such lofty heights as the human voice can offer. There was rigorous applause after every song. The perfect acoustics of the theatre managed to deliver this music to the centre of my heart, just as how the aching pathos of the Phantom’s story pierces my innermost being to this day. Precision like this is destined to be adored.